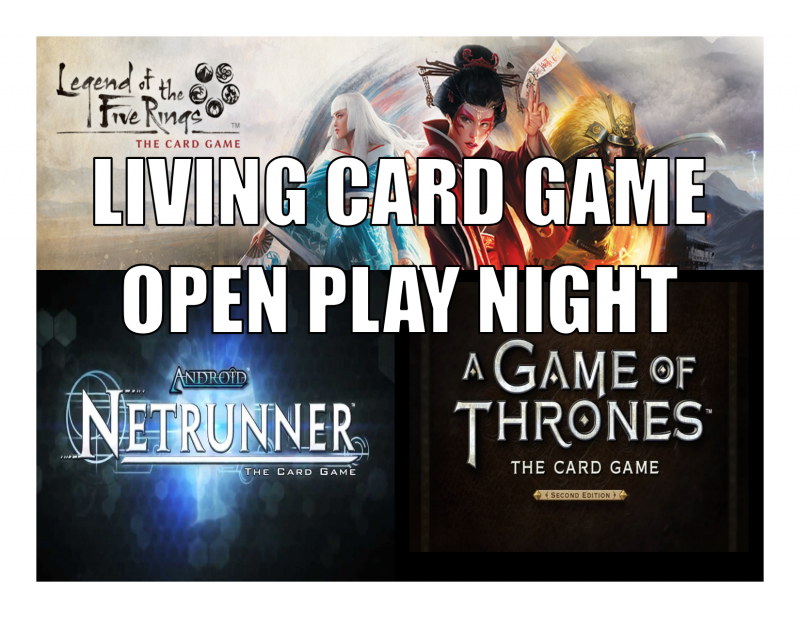 Hello Everyone, welcome all to our Living Card Game open play night. 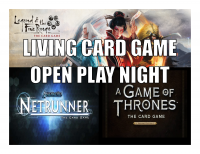 We invite everyone to bring in their copies of the Game of Thrones LCG, the Legend of the Five Rings LCG, the Android Netrunner LCG, or any living card game you would like to play. This is just a time for people to casually gather and play their favorite LCG or test out competitive lists and practice. This night might also be the future night for LCG kit events and tournaments. If you are interested in playing any of the games listed earlier, or any other LCG you have, then come on in play!